Harvest House Publishers, 9780736914864, 317pp. Blind dates give everyone the shivers...with or without a murder attached to them. Jo Tulip is a sassy single woman full of household hints and handy advice for every situation. 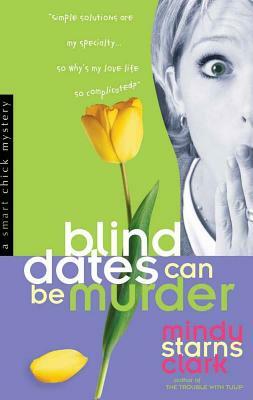 Her first romantic outing in months is a blind date-okay, the Hall of Fame of Awful Blind Dates-but things go from bad to worse when the date drops dead and Jo finds herself smack in the middle of a murder investigation. With the help of her best friend, Danny, and faith in God, Jo attempts to solve one exciting mystery while facing another: Why is love always so complicated?